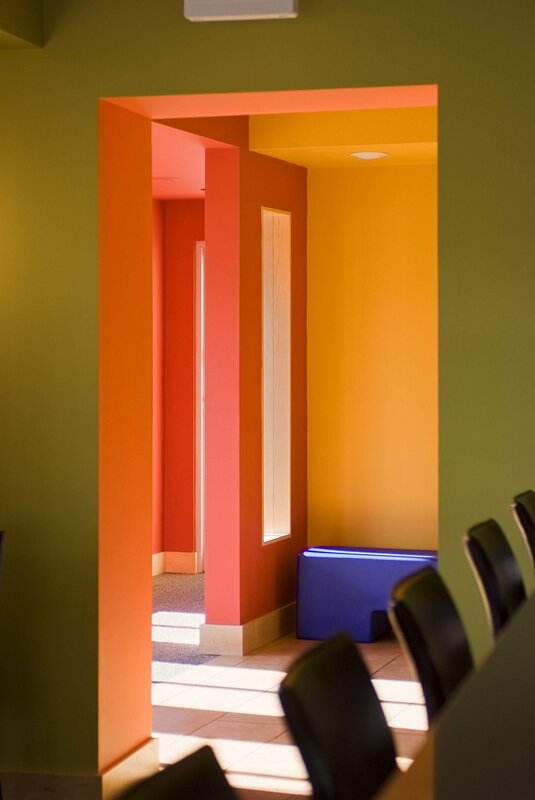 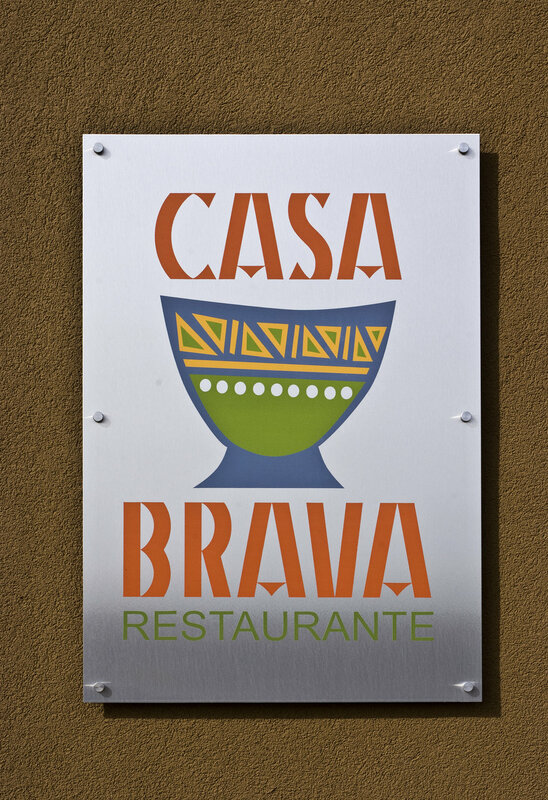 Casa Brava Restaurante is a modern design punctuated with brilliant colors drawn from tropical Mexico. 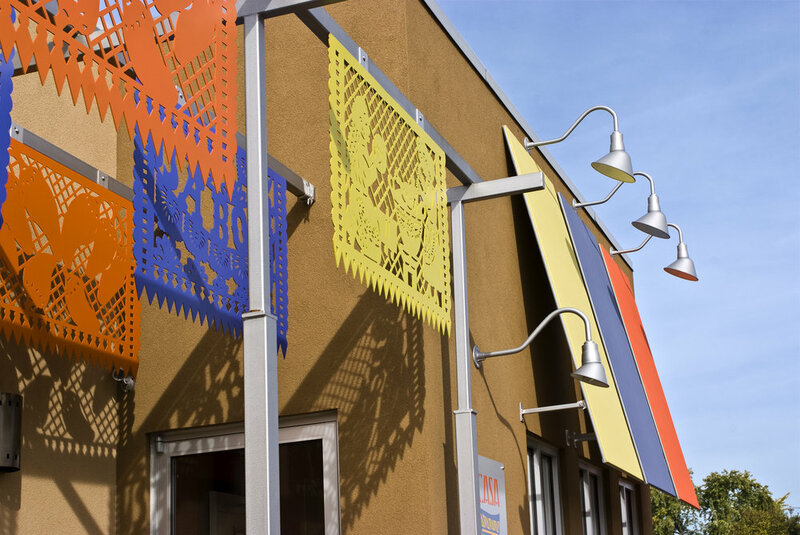 At the restaurant's entry a steel pergola with its hanging papal picados recalls traditional Mexican garden structures. 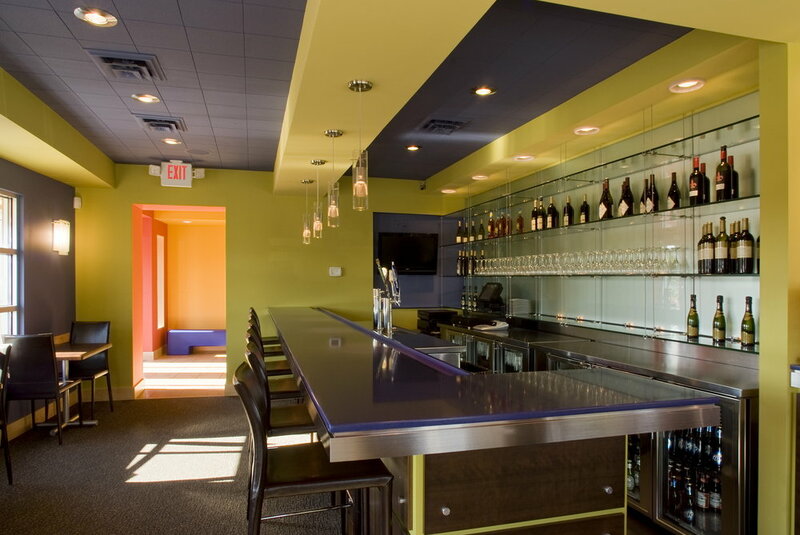 Once inside the restaurant, a dramatic foyer welcomes clientele, and cable hung glass shelves and a frosted glass wall create a shimmering backdrop for the bar. 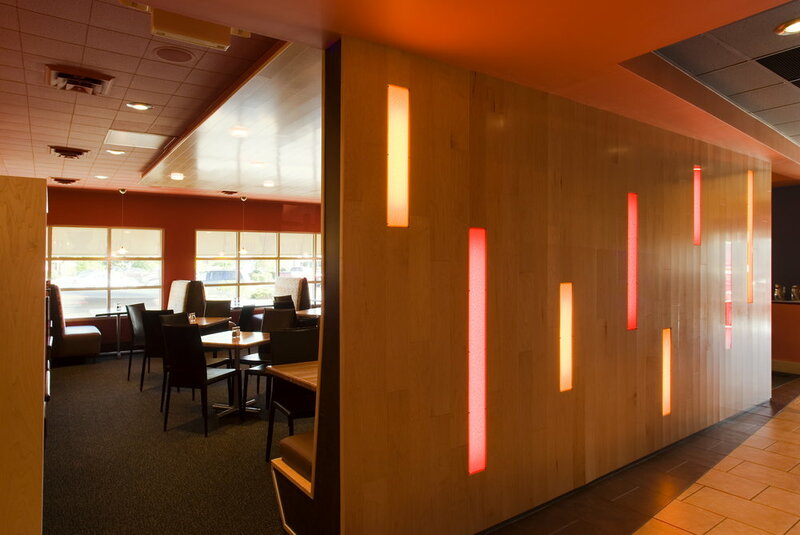 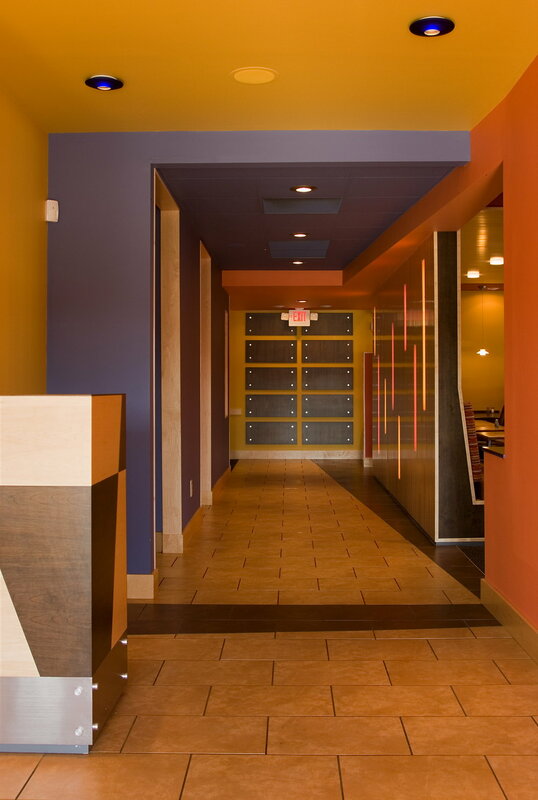 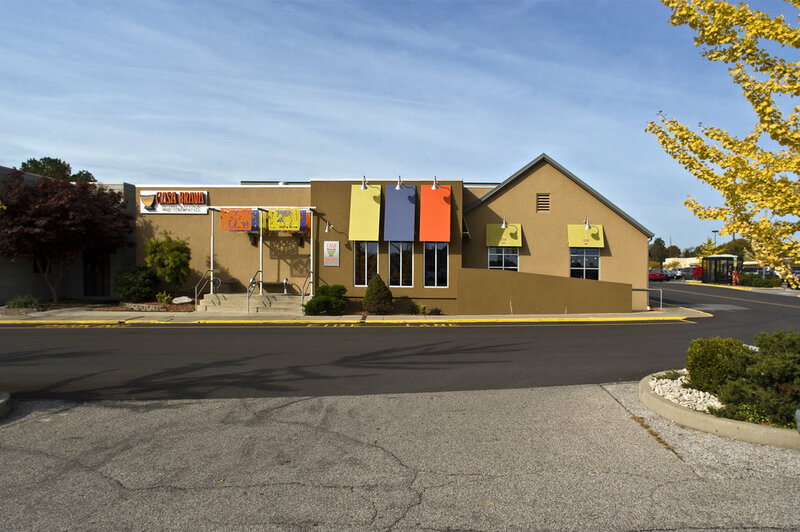 Two dining rooms accommodate booth seating as well as free-standing tables and chairs for flexible dining space.